Eric Firestone Gallery was established in 2010 at 4 Newtown Lane in East Hampton, New York. 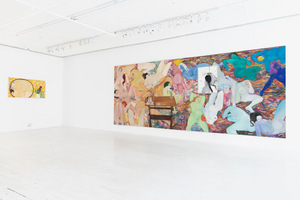 In 2015, the gallery expanded with an additional location — Eric Firestone Loft — in a historic artist live/work building at 4 Great Jones Street in New York City. Eric Firestone Gallery exhibits post-war and contemporary artists, and has a unique commitment to re-examining historic work and presenting major figures deserving of reintroduction. The gallery supports this mission with rigorous scholarship and archival research, looking at the entirety of an artist’s mission, creative vision, and life, in collaboration with institutions and collectors.